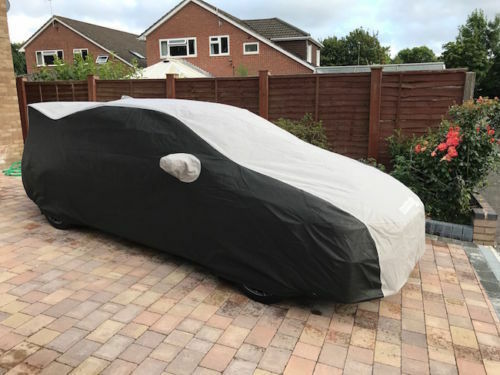 In this post we will give you the low down and the top tips on buying a car cover and how it can protect your investment and save you thousands of pounds in the long term from damage caused by weather, tree sap, criminals, yobs, pets, animals even kids with bikes. Start by asking yourself. How often do I use my car? If its every day and you don't have time to clean your car each time you want to fit the cover, then probably a cover is not a good idea. Practically you aren't going to have time to wash, clean, dry your car after a hard day at work, or if its dark for example. In our experience the right cover wont scratch a car, but dirt, trapped between the cover and car may, so only cover your car when its clean. 1) Generic fit - Usually cheap, not a good fit, hatch back shape, saloon shape, usually no mirror pockets. 2) Semi Fitted - Usually Sat On a Shelf, Mass produced. Chances are if you can get a cover in a 24 hrs its not fully tailored, its semi fitted. ( although we do stock some bespoke fit covers). Companies boasting "Large Stocks" basically mean the covers are already been mass produced, usually overseas, maybe even branded up as something else and more expensive, available from multiple suppliers and designed to fit the shape of a car rather than the specific car. 3) Bespoke, Custom Fit - Normally these take weeks to make but you know the cover will fit inch perfect, made to a pattern taken from the actual make, model and year of vehicle. Always the best solution. When purchasing, do some research from the company you are buying from. Are they UK based?, how long have they been in business?, what is the support, guarantee like on the product? Look also for photos of the cover you are buying if possible fitted to the car you have. Example shown below is a Bespoke made, custom fit Cielo Cover for a Subaru WRX 2017 Saloon, Fully tailored over the various spoilers, even comes with a pocket for the shark fin antenna on the roof where a normal, generic or semi fitted cover would wear through. So now you are looking to buy a cover, either for indoor or outdoor use or both, what are your options? 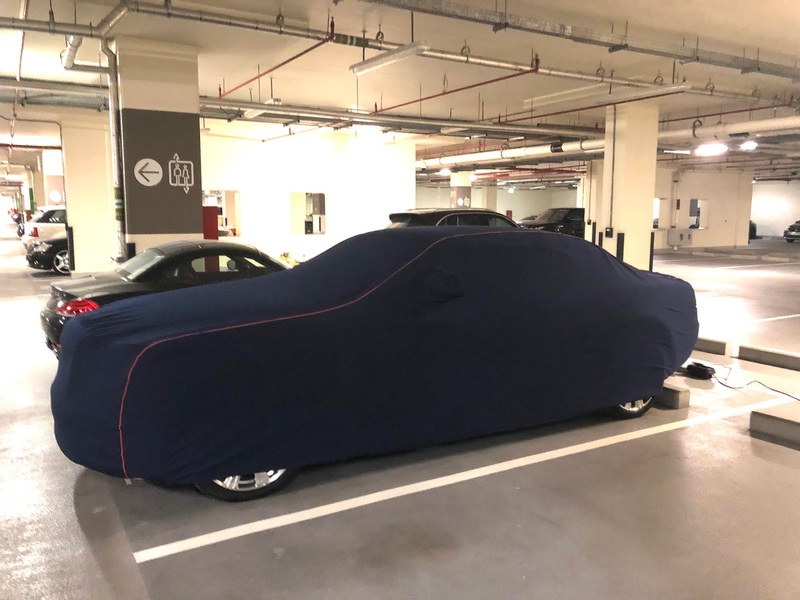 You should initially take into consideration the environment in which the car and cover is going to sit. If its outside in summer or in a hot climate then you want something reflective. If its in a nice warm garage then something fleecy and shape hugging may be what you want. If its going to be used in the depths of Winter then something heavy duty, waterproof and breathable will be needed. More and more customers are covering their cars now for security reasons. With the huge rise in prices on classic cars now and the ability to easily drive away a key less modern car, old skool tech is back! Covering your car up so its out of site from passers by, opportunists, google maps and the like is a good idea. Fitting an integrated alarm to the cover is also a good idea, this will warn you if it's removed from the car and scare off anyone close by. It will certainly wake you up before anyone even gets to the car itself. Locking kits are also a good idea, but the alarm is better. Having been in the industry for 15 years, we have seen it all and feel we are best to give advice where and when it matters. This blog is an honest and factual and not designed purely to make you buy a cover. If you need any help, contact us.